Welcome to The Butterfly! Your home away from home. We offer serviced apartments which cater the needs of business travelers, large families, and individual professionals. At The Butterfly, we provide spacious accommodation for people visiting Vijayawada on various occasions such as business, medical care, relocation, vacation, etc. Our studio flats offer a peaceful home-like living environment that is best suited for corporate travelers staying for an extended period of time. That's not till We assure you 24 hours Check-in / Check-out facilities with Unlimited Free Wi-Fi connectivity, Complimentary Breakfast, and many such essential amenities. 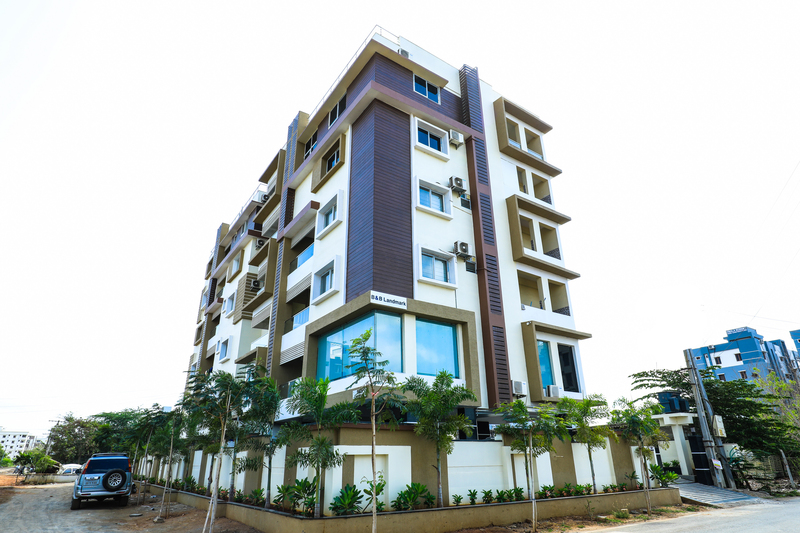 Our serviced apartment is located at Mahonadu Road, prime location in Vijayawada. It is 6 Km . from Railway station and 12 km from Airport.